The other day we went down to the lake and look what we saw! Mr. and Mrs. Swan with their new babies ! Annie wanted to know if she could go to the edge of the lake and get up close and personal with the babies. I said NO! Annie. Swans are very protective of their little ones and you don't want them to get mad. I told her to keep a good distance. Actually the best thing is what I do, just ignore them. 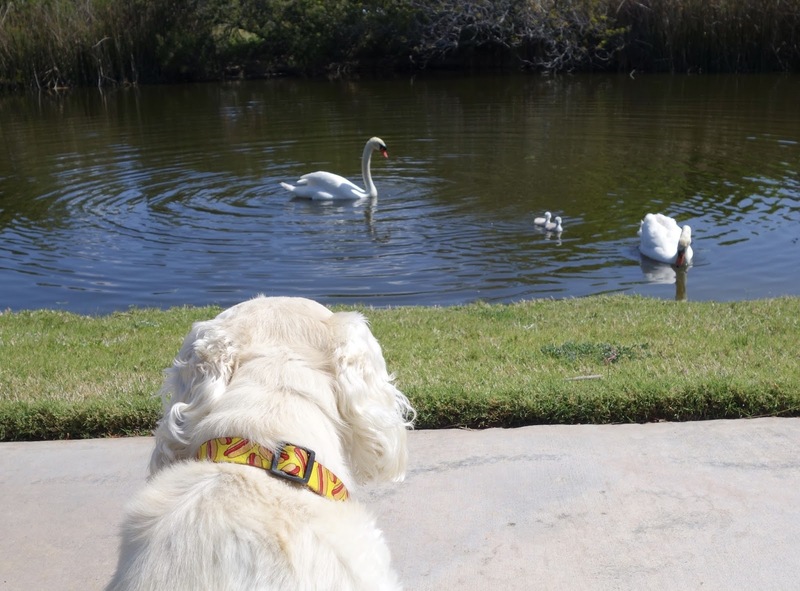 But Annie wanted to keep on watching the Swan family. I'm glad she at least listened to me and stayed back.